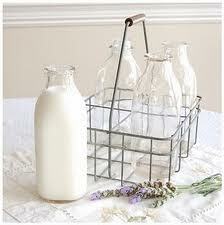 Ever wonder why it's so important to have dairy products in your food storage? Listen to this episode of "Empower Hour" as I share some important information with you. Plus, learn how creating your own pantry mixes at home not only helps you save money and eat healthier, but also helps you rotate your food storage supply more easily. CLICK HERE to listen to Saturday's radio show on Powdered Dairy in your Food Storage.